The heroes and villains of the DC Universe are back in the second series of comic-based DC Vinimates! 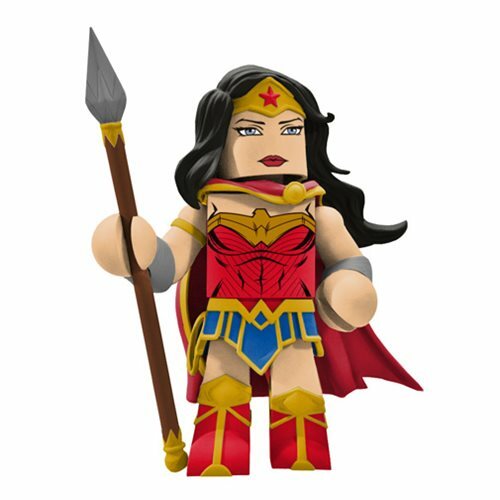 The DC Comics Wonder Woman Vinimate Vinyl Figure is sculpted in the block-figure style, and is striking an iconic pose straight from the comics. The DC Comics Vinimates Series 2 Wonder Woman Vinyl Figure stands about 4-inches tall and comes packaged in a full-color box. Ages 13 and up.